It’s very difficult to keep phones secret these days as details are typically leaked in the lead-up to the official launch. The new flagship model Samsung Galaxy S8 is no different and the reliable leakster Evleaks have now published leaked photos online. Samsung Galaxy S8 comes in two different sizes. The smaller version sports a 5.8-inch screen while the larger one a massive 6.2-inch screen. 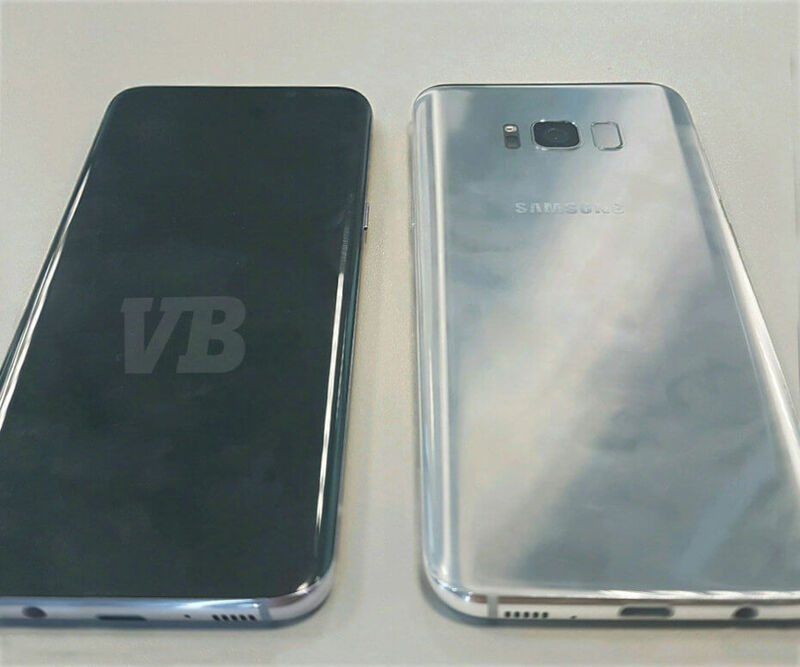 The leaked photos reveal that one of the main differenced compared to the predecessor Samsung Galaxy S7 is the larger proportion of the front side that the screen covers. In other words, Galaxy S8 has a higher screen-to-body ratio than S7. Samsung has achieved a screen coverage exceeding 90% by removing the home button at the bottom of the screen. Furthermore, the leaked photos clearly show a physical headphone jack and a USB-C type of port. Samsung won’t release the new phone at the World Mobile Congress (MWC) in Barcelona at the end of February. Instead, rumours online indicate that the Korean company will release S8 worldwide on the 29th of March and that it goes on sale in April. The predicted price tag is 850 Euro, which corresponds to about NZ$1,430 inclusive of GST. The new voice assistant called Bixby facilitates phone usage and interaction. Bixby is an integral part of Samsung’s investment in artificial intelligence (AI). Samsung Mini Pay is a new independent payment service that doesn’t require coupling to a Samsung phone or smart appliance. Integration with the wireless earphone Samsung Gear Icon X.